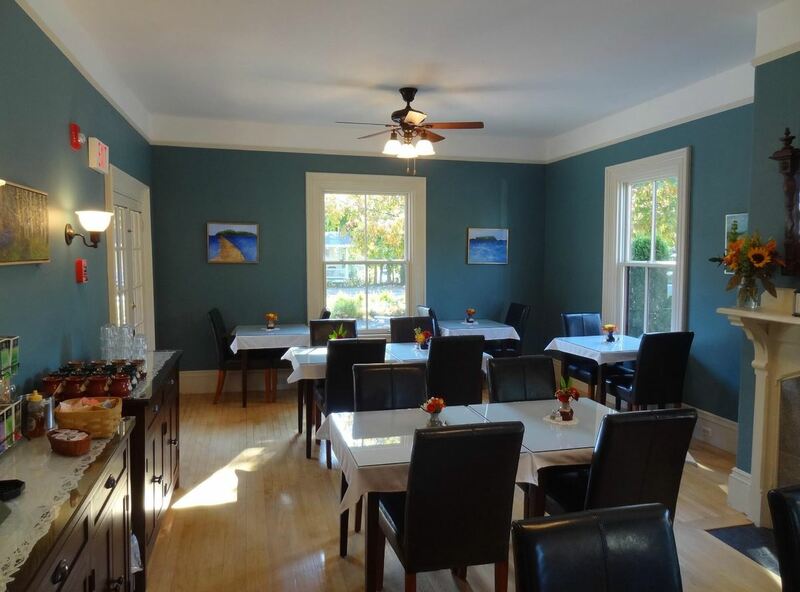 The romantic Primrose Inn Bed & Breakfast perfectly located in Bar Harbor Maine, just a short stroll from all of the wonderful restaurants, shops, galleries, and museums that make Bar Harbor a world-class destination. 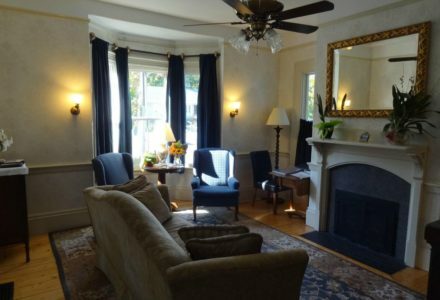 Built in 1878, the historic Primrose Inn is decorated in a light Victorian style that encourages guests to relax and enjoy their time away. 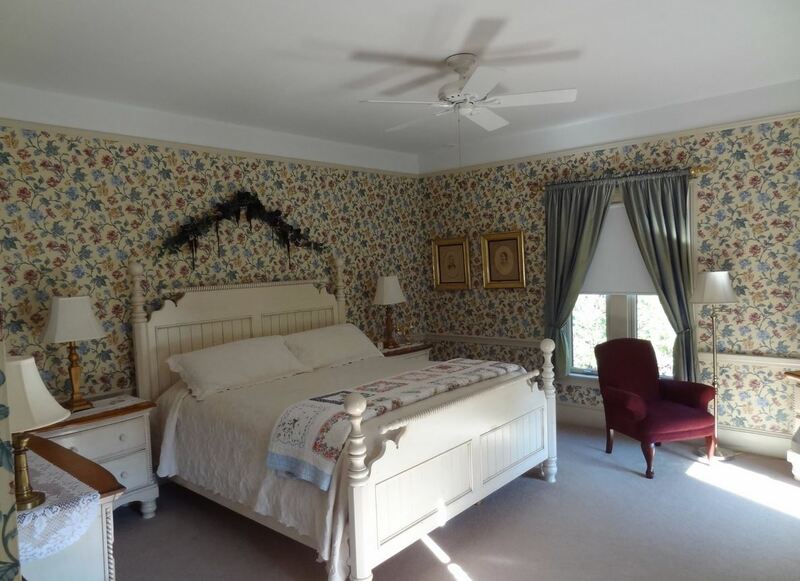 Guests will enjoy the comfortable elegance of spacious rooms, each with a private bathroom, high ceilings, and carefully appointed with selected antiques and period reproductions. 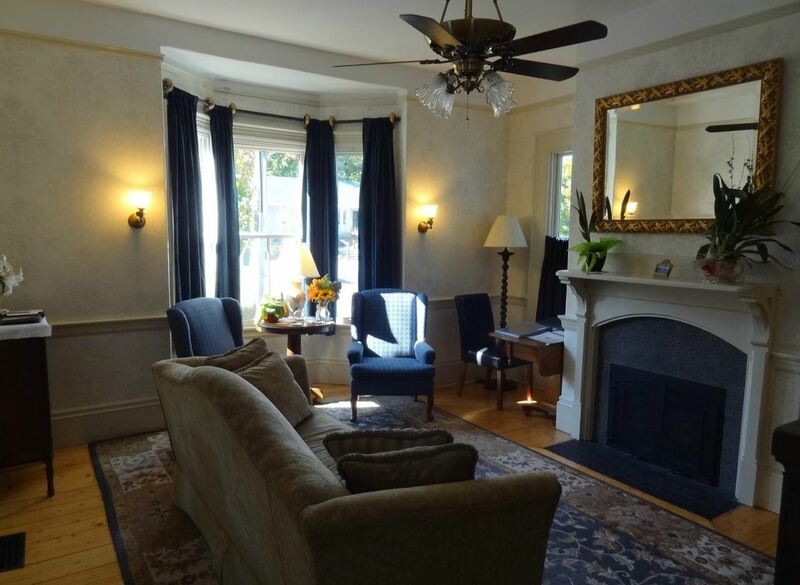 Many rooms feature cozy gas fireplaces, spa tubs, adjoining sitting rooms as well as private porches. 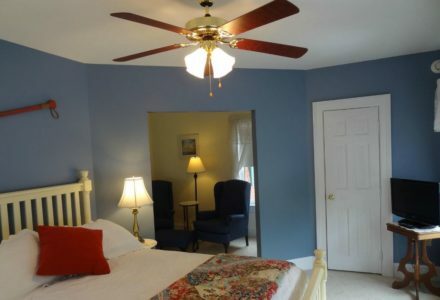 The inn has been enhanced with today’s most requested guest amenities such as luxurious linens, flat-panel televisions with built-in DVD players in each guest room, central air conditioning, wireless internet access throughout the inn, guest refreshments at no additional charge and a daily newspaper delivered to each room. 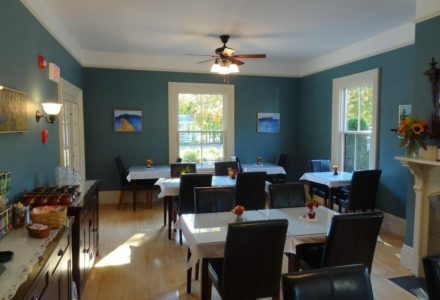 Guests of the Primrose Inn will enjoy a hearty full breakfast each morning with a choice of hot entrees served fireside in our dining room or on our outdoor wrap-around front porch. Our afternoon tea featuring an assortment of freshly baked treats from the Primrose Inn’s kitchen is very popular with our guests and many plan their day around returning to the inn to relax and enjoy it before dinner. 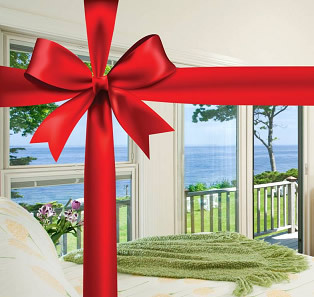 So, journey to this wonderful island just off the coast of Maine and the natural beauty of Acadia National Park and, of course, a most memorable stay at one of Bar Harbor’s treasures, the Primrose Inn. Children Policies: Guests under the age of 18 must be accompanied by a parent in a room. 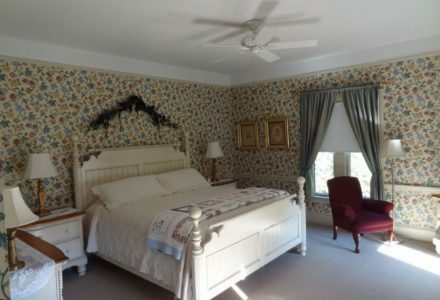 Room 5 can accommodate an additional guest with the daybed in the adjoining "sitting room." Pet Policies: Unfortunately, because of allergies of some of our guests, we cannot accommodate pets in the inn. If you are traveling with your pet, we recommend contacting Acadia Woods Kennel to provide care. They can also be contacted at (207) 288-9766.